← Labour split or Labour unity? The London Mayor’s Education Conference. The Mayor of London and the Greater London Authority (GLA) have no statutory responsibilities for education, however they can use their convening power to bring people together, to advocate and call for action and to persuade. In many ways, the absence of command-and-control is liberating; it frees them up to use their influence to bring about improvement. Whether through the Schools Excellence Fund, the London Music Pledge, the London Curriculum, Big Dance, Team London Young Ambassadors, Healthy Schools London or the London Schools Gold Club, London’s strategic authority has shown that it can play a strategic role in promoting curriculum development and partnership as well as showcasing and sharing excellence. The Mayor’s Education Conference, held this year on 27th November, is a good example of this convening power. 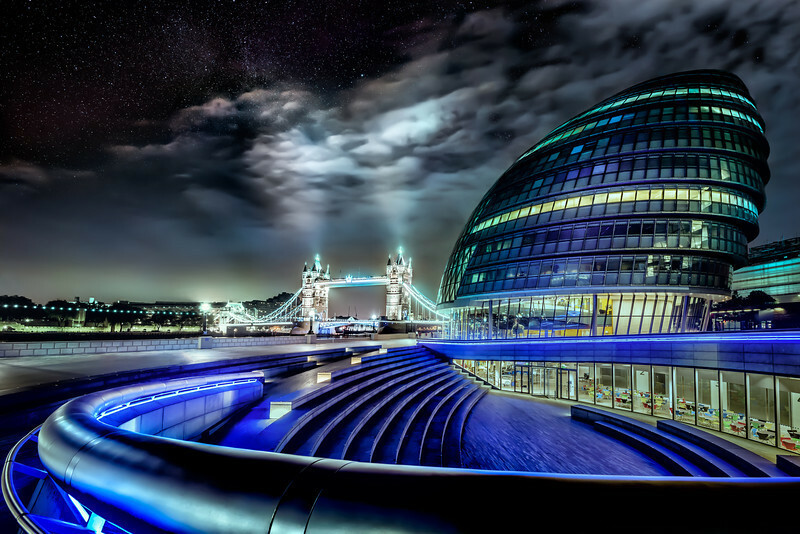 The event held annually at City Hall since 2013 attracts an impressive number of London’s educators, giving them an opportunity to network and share ideas. The potential to develop regional partnerships and collaboration further is tremendous. I was particularly pleased that the work of one of London’s 12 Sixth Form Colleges was featured when Jane Overbury, principal of Christ the King Sixth Form College spoke about their LSEF project won creating the conditions for a culture of innovation, specifically looking at what strategies for helping students achieve the very highest grades might be transferable and scale-able between private and state-funded sixth forms. The answer is rooted in classroom practice with teachers who reinforce high expectations, are prepared to take risks and see themselves as classroom researchers. Christ the King is a great example of a Sixth Form College which has played a positive and leading role in post-16 developments via its network of different campuses in South East London. The mayor spoke about his convening role, to help, facilitate and bring together London’s educators. London now has more ‘good’ and ‘outstanding’ schools than any other region and 25 of the highest achieving local authority areas are London boroughs. He reminded us that London is marked by inequality but that educational achievement is improving fastest in the poorest neighbourhoods and he argued that London is a ‘great dynamo’ of educational improvement. Mr Johnson also drew on his enthusiasm for the teaching of classical studies, Latin and Greek, to make some startling comparisons between European economies. Italy, France and Germany all have higher productivity than the UK, they also have far more students studying Latin and/or ancient Greek at school. His leap from correlation to causation may have seemed somewhat tongue-in-cheek and many in the audience won’t have taken it entirely seriously. However, he was making an important point that a broad liberal education may well be the best preparation for life we can offer young people as they face uncertain economic and employment prospects. Boris Johnson finished with a rousing call for a single education and skills commissioner for London to replace the current random carve-up between parts of 3 different school commissioner regions which makes any city-wide regional strategy for education more difficult to envisage. This makes absolute sense and we can only hope that he uses his influence to achieve this legacy for his successor – whoever they may be. I would add that the remit such a commissioner should be all education, not just ‘skills’. Nicky Morgan praised the legacy of the London Challenge and, addressing the concern which had flowed from the Chancellor’s Spending Review announcement of a redistribution of school funding, promised that London’s schools will continue to be funded based on need. She also promised to continue to challenge London to do better while recognising that things aren’t easy but didn’t respond to the mayor’s plea for a London education commissioner. I also attended the session on Reshaping London’s 16-19 Offer which inevitably focused on the impending Area Reviews of London colleges. Frank McLoughlin, principal of City & Islington College, reminded us that systemic change is not easy when we haven’t really got a post-16 system. There is no agreement about what 16-18 year olds should study and patchy awareness of what vocational education actually is. One statistic which wasn’t highlighted in the conference is the fact that the progression rate of disadvantaged students (eligible for Free School Meals) to university is higher in London than in any other English region. All 10 top London providers in this respect are colleges (5 sixth form colleges and 5 general FE colleges) so we are clearly at the heart of the ‘dynamo’ which the mayor spoke of. Colleges may be only part of the complex patchwork of provision but we have a great deal to offer London education in so many ways. Next year, every London College will be engaging in the Area Review process and joining one of the sub-regional steering groups to work on proposals for doing things better. With the support of London government, our work on those steering groups could build a better shared understanding of the educational needs of our city and lead to improved collaboration between providers. Once the reviews have reported, we could build on these partnerships to help create the London-wide 16-18 system which we so lack, something which can only benefit young Londoners and the capital as a whole. The Mayor’s convening power, so much in evidence at this conference, has shown its potential and there is plenty more it could achieve. This entry was posted in Education, Education policy and tagged Boris Johnson, Colleges, Education, liberal education, London, London mayor, Nicky Morgan, Regional School Commissioners, Sixth form college, university progression. Bookmark the permalink.